San Francisco baseball players Pablo Sandoval and Edgar Renteria are Giants - except when it comes to haunted hotels. 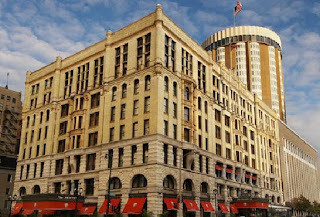 As reported by the San Francisco Bay NBC affiliate and SF Weekly, the major leaguers checked out of the 117-year-old Pfister Hotel in Milwaukee, Wis. According to Giants' publicity director Shana Daum, they were uneasy about ghosts because last year, both "had some sort of experience there," she says. Daum is unsure about the nature of the experience, but the hotel is famous for his is haunted hospitality, and PrairieGhosts.com says, founder Charles Pfister still looks after his guests long after his death. "He has been spotted looking over the lobby from a spot on the grand staircase and has also been seen walking in the gallery above the ballroom," the site alleges. "Witnesses identify him from a portrait of him that hangs in the lobby." The hotel plays host to the city's visiting athletes, and last year, Milwaukee's NBC site WISN.com reported on the phenomena plaguing sports stars and one L.A. Dodger supposedly even slept with his bat while there. And lest we forget, this story comes only a few months after the New York Knicks faced a similar spectral issue at the Skirvin Hilton in Oklahoma City. Well you can't blame the hotel for root, root, rooting for the home team - even if it means scaring the crap out of the rivals.